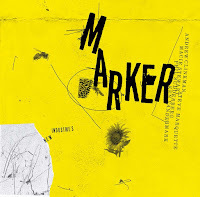 It’s not quite obvious why Trevor Watts is not as famous as Evan Parker or Peter Brötzmann, although he belongs to the famous first generation of British free jazz – like Tony Oxley, Derek Bailey, John Stevens, Paul Rutherford, Kenny Wheeler and the abovementioned Parker. 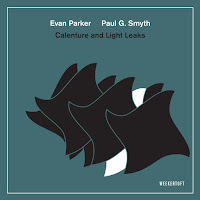 He has recorded a lot of absolutely legendary albums like Spontaneous Music Ensemble’s Challenge, Amalgam’s Prayer for Peace, or Jeff Clyne/Ian Carr Quartet’s Springboard. Although he might not be a great stylist (like Parker, e.g.) but he definitely is a very subtle team player, his superbly brittle playing is excellent in his duos with John Stevens and he also is a great soloist. 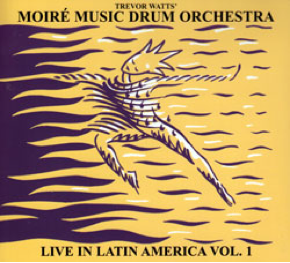 Trevor Watts’ Moire Music Drum Orchestra released an album on ECM (A Wider Embrace) in 1994 before they put out these recordings from 1990 on FMR in 2013 – and it’s my favorite Watts album of the ones reviewed here. Like on A Wider Embrace the band is Trevor Watts (ss, as), Jojo Yates on percussion, Mbira Twanga on thumb piano, cowbell and voice, Nana Tsiboe on percussion, gonje (African violin) and lead vocals, Nee-Daku Patato on percussion, gonje and voice and Nana Appiah on percussion and voice. Only Colin Gibson played bass instead of Colin McKenzie and Liam Genockeyon was on kit drums and percussion before Paapa J. Mensah stepped in. But the most important difference is that Live in Latin America Vol. 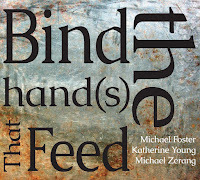 1 is a live recording while A Wider Embrace was recorded in the studio. Here the music takes place in front of an enthusiastic audience, it is all frenzy and thunder – and it’s the complete contrast to cheesy hybrid folk/rock/jazz or odd world music trash. The best two tracks, “Sobira” and “Fracas in Caracas” are pure spiritual magic. The first one is a 15-minute state of trance build around a captivating, elevating rhythm sparked off by a magic thumb piano riff. The fundament is conjuring African call and response chanting, while Watts’ soprano is flying high over a West African landscape watching zebra and gazelle herds speeding over grassland. “Fracas in Caracas” is Colin Gibson and Liam Genockeyon providing monotonous bass riffs and drum beats augmented by cowbells. The intriguing thing is how this piece is carried out by this basic duo, it’s the duo that moves the thing. 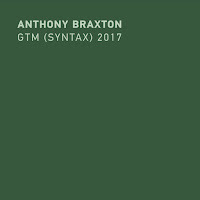 Watts ignores any kind of melody for his solo so that it spills out in a psychedelic circular breathing monster which is carried away by the drums. Watts’ saxophone sounds like a million African flies, buzzing, going mad, losing control, but he also balances on the great thud of the drummers, and careers off into a thundering alto solo in the second part that must have drained the venue dry. He throws the saxophone around the percussion in a literal free flow of ideas. No wonder the audience freaks out here. 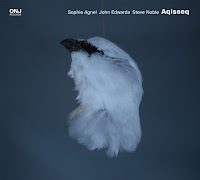 Apart from Watts’ marvelous saxophone parts the percussionists are the real sensation of this album. They do not just play set rhythms, they provide spontaneous interaction of the utmost complexity, the music is a multicultural discussion between seven men, five of them deeply rooted in Africa generating new music. It’s a driving sophistication of master drumming. Just step into the river and let yourself get taken away by this rhythm section which builds incredible drum patterns that go off like a one hour fireworks. Hopefully there will be a volume 2. There are not many musicians who can captivate an audience with a solo alto performance – but Trevor Watts can. Veracity is amazingly melodic, various, absorbing and reflective at the same time. The album comprises 13 more or less short sketches, all precisely conceived, you can find reminiscences to baroque chorals, bebop and cool jazz allusions (in the title track). Watts proceeds like a sculptor, he is precise and concise, as if he was looking at his art from a distance, therefore his compositions are concentrated and accurate. Above all there is his outstanding musicianship, for example the circular breathing in “Afrocentricity” or in “Pleomorphism”. 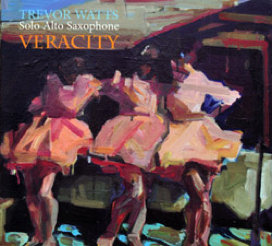 Veracity displays the roots and influences of Watt’s music, it’s an excellent piece of art. 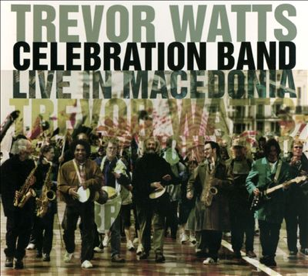 Trevor Watts is often best when he plays in ensembles, preferably his own. So I was excited about this one – but unfortunately the album is rather disappointing. The band consists of four saxophones, drums, percussion, guitar and bass. Particularly the electric bass and the guitar remind of odd funk rock bands of the 1980s and the composed parts sound a bit uninspired. Luckily the brass section is tight and the soloing is also nice. It’s an album which cannot compete with the two reviewed above. Watts is a fascinating artist who has covered many different styles and areas. Apparently, it was he who coined the phrase "insect music" to describe the Spontaneous Music Ensemble's brand of improv, involving very close listening to what others were playing, with no voice predominating, and which was so influential in Britain and elsewhere. Allegedly, Brotzmann referred to it as "the British Disease". "Sobira" on Live in Latine America is damn near perfection. Watts is one of the under-appreciated figures in improv and should be better known and more celebrated. Check out any of his albums with John Stevens/SME; all great. I'll also put in an endorsement for the two albums with Veryan Weston. Having listened to those frequently and seen Weston and Watts in concert twice, I can say they are top-shelf.